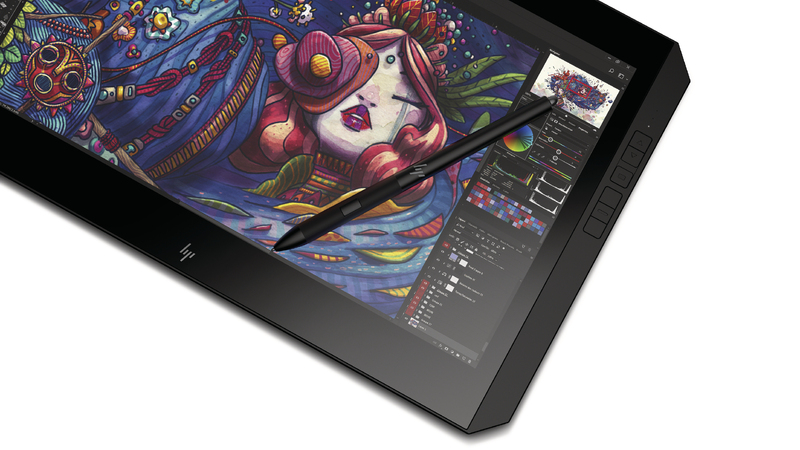 HP Inc. has a new detachable notebook, and it’s designed to give creators more performance and mobility in Adobe Creative Cloud. At the Adobe Max conference, the tech giant revealed the HP ZBook x2, it’s latest 2-in-1 notebook in a similar vein to Microsoft’s Surface Pro. HP wants to give creators as much mobility as possible by maintaining full graphics performance in tablet mode. At first glance, the ZBook x2 looks like a suped-up tablet that can be used as a laptop with an attachable keyboard. With all the equipment powering it, the ZBook x2 isn’t the lightest device out there at just over three and a half pounds, but there is no doubt that HP packed as much as it could in there. That starts with the display, which is a 14 inch diagonal, 4K multi-touch display that can come with HP DreamColor display calibrated to 100 per cent for Adobe RGB. The display is also anti-glare so that creators aren’t limited to certain lighting conditions. The ZBook x2 takes advantage of the latest 8th Generation Intel Core i5 and i7 processors, with the least expensive option maintaining a 7th Generation i7 processor, and it has 32 GB of RAM and up to 512 GB SSD storage that is expandable up to 2 TB. It can be equipped with either an Intel HD Graphics 620, Intel UHD Graphics 620, or NVIDIA Quadro M620 graphics card. On the software front the ZBook x2 runs on Windows 10. For it’s battery life, HP says it can last up to 10 hours with ultra-fast recharge that can get you a 50 per cent charge in 30 minutes. However, there is no indication of what mode the device has to put in to get that 10 hours of battery life, and with all that power packed into it, I’ll believe it when I see it. Additionally it is riddled with all sorts of ports that you might need. This includes an SD card reader, a power connector, one HDMI port, one USB 3.0 slot, and two USB 3.1 Type-C thunderbolt 3 display ports. The ZBook x2 can be used in four modes: laptop, detached, docked with up to two monitors, and tablet mode. And like the rest of HP’s product lineup, the ZBook x2 comes packed with all the security features you’d expect. That includes HP Sure Start Gen 3 for BIOS protection, TPM 2.0 for hardware-based encryption to secure credentials, Smart Card Reader for secure authentication methods, and HP’s Client Security Suite Gen 3 to protect data, device and identity. A fingerprint reader and facial recognition are also included. The HP ZBook x2 will begin shipping this December starting at $1,749 USD.